For sale is a beautiful tropical Zodiac Sea Wolf. 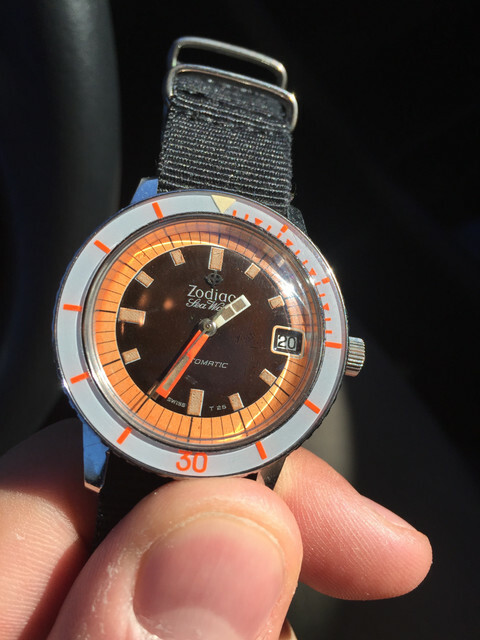 The dial has aged to a dark chocolate color. Original crown and caseback. Watch is currently working and keeping time.